“But even from my brief impressions of the Key2, I feel the company has the potential to strengthen it’s security and productivity niche,” Napier Lopez, TNW. 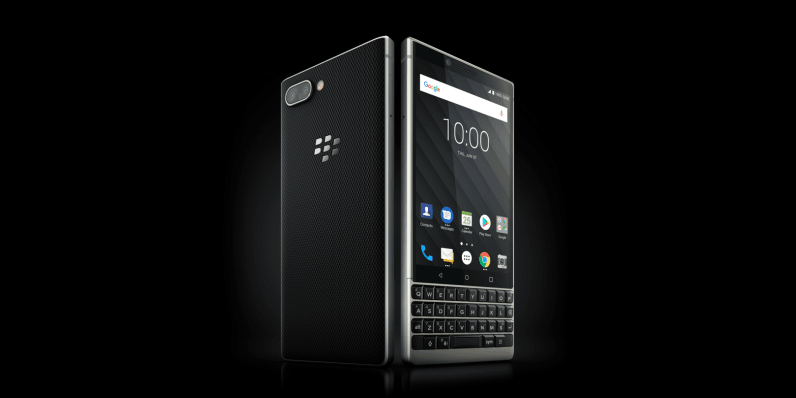 But for the Key2 to be a real success, and surpass the modest sales of the KeyOne (TCL shipped about 850,000 units in 2017), it has to convince everyone else. But of what exactly? Firstly, it needs to reassure the tech-buying public there’s life in the BlackBerry brand — at least as smartphones go. I’d argue TCL’s doing a solid job of this by ensuring it releases a steady stream of devices under the BlackBerry marque. Last year, the Chinese firm released two phones — the BlackBerry KeyOne and the BlackBerry Motion. These offered a secure Android experience tailored for those who love the physical keyboard, and for those who don’t. There’s a long-standing misconception that the BlackBerry brand is dead. I used a KeyOne for almost a year, and I can’t count the number of times I was asked if “BlackBerry was still a thing.” It got pretty tiresome. To also show there’s signs of life in BlackBerry, TCL also has to emphasize it’s not making mass-market devices here. The days when BlackBerry commanded the lion’s share of the phone market are over. Now, it’s only concerned about building solid devices for a smaller niche of security and productivity-conscious users. This nicely brings me on to my next point: TCL needs to convince people there’s value in a physical keyboard, and it’s not just a retro throwback designed for those simply unable to move on. It’s clear TCL is working hard on that. The Chinese company is improving on the groundwork laid by BlackBerry over twenty years of device making. It’s taken some of the company’s best ideas — like the capacitive scrolling from the BlackBerry Passport — and enhanced it with innovations like the speed key. TCL is also trying to emphasize the core value proposition of a physical keyboard — that of more comfortable and accurate typing. With the Key2, the keyboard has been redesigned to offer a more tactile typing experience, which I’m really eager to try out. The speed key is location on the lower right of the keyboard. Overall, I’m pretty impressed with the focus that TCL has shown in making the Key2 a productivity device — from the keyboard, to the battery life (which promises all-day performance). There’s a big swathe of phone-buying society that uses their handsets for work, and I’d be surprised if they aren’t tempted by the Key2. Finally, TCL has to convince punters to actually open their wallets and buy one. At $649 for the base model, the Key2 isn’t cheap, but it’s still below what you’d pay for a flagship device from Samsung, Huawei, or Apple. As reported by CrackBerry, BlackBerry Mobile is attempting a bold retail strategy in China, which has seen it open stores in both Nanjing and Shanghai, with more to come. Retail was the catalyst behind some of Apple’s success over the past 15 (ish) years, as it allowed the public to try devices before they bought then. It’ll be interesting to see how it works for the BlackBerry brand, and I’ll be following this retail push closely. It’s also worth noting that it might not just be ordinary consumers who buy the Key2. I’d imagine TCL hopes it’ll be deployed extensively within corporate environments, as was the case with the once-ubiquitous BlackBerry Bold. Corporate users are big spenders, and they buy in bulk. I wouldn’t be surprised to see TCL focus much of its marketing efforts here. If they do, I’d imagine they’d heavily emphasize both the keyboard, and the enterprise-ready security features of the phone.